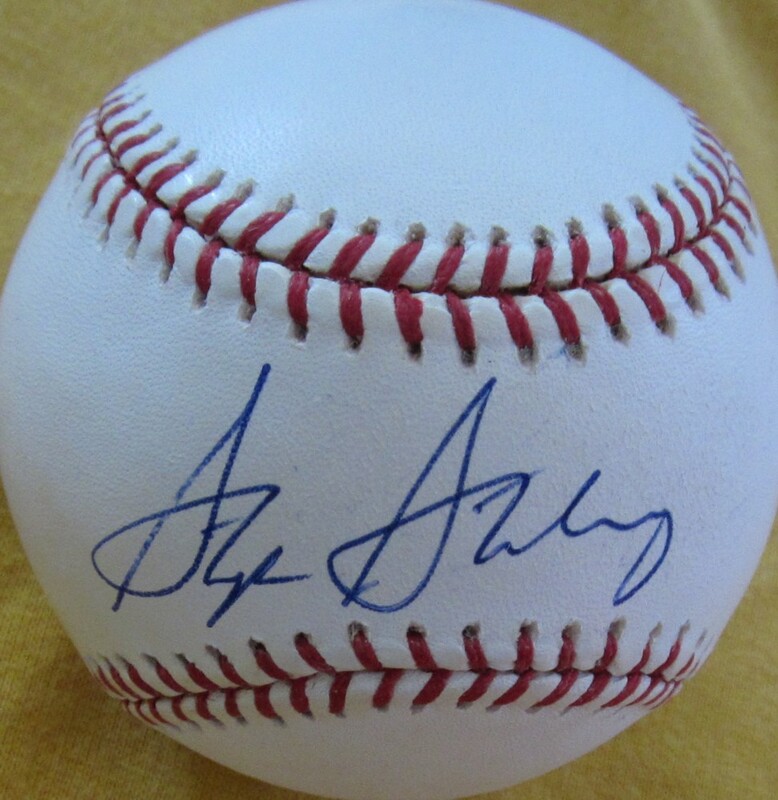 Official Rawlings MLB baseball autographed on the sweet spot in blue ballpoint by Washington Nationals All-Star pitcher Stephen Strasburg, who has the potential to be one of the greatest strikeout pitchers ever. Obtained in person at celebrity golf tournament. With certificate of authenticity from AutographsForSale.com. ONLY ONE LEFT.